As a performance coach and trainer, I work with businesses, professionals, and organizations to increase sales, improve performance, and generate higher profits through efficiency and empowered teams. For years, Certified Contractors Network (CCN) has proven to be the highest quality, most effective, contractor consulting available to both small and large contractors. Contractor failure, or dissatisfaction with the performance of the business, is at an all time high. In addition, the highly fragmented construction industry is starting to consolidate. The combination of these two factors creates an opportunity for CCN, contractor members, and investors. If you are a contractor, you will find that CCN addresses both the training gap and industry consolidation. To enhance the professionalism, performance and perception of the construction industry. We promote ethics, education, leadership and innovation, so that the construction industry and the community achieve mutual benefit. All members are held to a Code of Ethics and aim to deliver 100% client satisfaction. The Mission of CCN is to make its independent contractor members more successful and profitable, while assisting them to provide better and more professional services and products for their customers. This goal will be achieved by providing training, guidance, motivation and support, and CCN will serve as the catalyst for networking (sharing ideas between members) and arranging group purchase discounts when applicable. Services are available to members and their employees. CCN’s “Secondary Mission” is to provide an alternative to industry consolidation, whereby, the CCN members maintain their independence, but have the benefits of a national organization along with national name awareness. After opening Direct Movement Group in 2014, the company saw rapid growth and today averages seven to 10 projects per month. Downing’s workforce is made up of a sort of hybrid between subcontractors and employees. He finds skilled tradespeople, helps them form their own companies, and then provides them with work. The arrangement allows the professionals to have the freedom of owning a business without concerns about getting hired since, “we’re always able to keep them busy,” Downing says. Direct Movement Group got its start on the online platform Thumbtack, and Downing was one of its first pros to bring in more than $1 million in revenue. He also gets a lot of business through HomeAdvisor.com. I was born and raised on Long Island, NY. In between doing what average suburban kids do, I spent much of my childhood at the heels of my father who retired from the New York City Police Department after 33 years. My interest in money and business led me to major in Economics at Cortland College. At 21, following in my father’s footsteps, I began my 17 year career with the New York City Police Department. I retired as a Lieutenant in September 2000. I had an opportunity to pursue my interest in the financial industry and joined an international CPA firm. For many, my career change seems drastic and curious, “I can’t believe you used to be a cop!” and “How did you go from police officer to accountant?” have become almost synonymous among clients and colleagues in realizing my former profession. While I’m no longer chasing “perps” down the streets of New York City, I still maintain the same type of rush and dedication to saving clients thousands of dollars in tax and seeing the look of delight on their faces. The way I run my practice is rooted in tax planning. Our philosophy is to find ways to legally reduce tax liabilities and keep more of what our clients earn in their own pockets. Each new client, corporate and personal, is given a tax analysis in which we review prior tax returns as well as current financials in order to identify missed opportunities and prior mistakes which resulted in unnecessary tax expenditures. From there, we implement a personalized plan to save the client thousands. As a Certified Tax Coach™, I belong to a select group of practitioners throughout the country who undergo extensive training and continued education on various tax planning techniques and strategies in order to become, as well as remain, certified. With this organization I have co-authored an Amazon best seller, Secrets of a Tax Free Life. In addition to tax planning, my practice offers traditional tax services as well as off site CFO services. With my dedicated and passionate team we are able to provide daily guidance and advice to business clients. Our efficiency is embedded in our team concept. Our clients include, but are not limited to, Medical Professionals, Clothing Sourcing Businesses and Commercial Electrical Companies. Brigham Dickinson is president and founder of Power Selling Pros, a leading coaching and training firm dedicated to teaching call handling teams to wow more customers in the Residential HVAC Industry. In 2009, Power Selling Pros trained six call handlers – now they’re up to 450, from more than 130 companies around the globe. Power Selling Pros’ growth comes mostly through referrals, thanks to their proven call-handling certification process and their high level of customer satisfaction. It was ten years ago now. I was managing the pay-per-click advertising for a Utah based plumbing, heating, and cooling company, and I thought things were going really well. That was until the owner fired me. "These leads are no good" he said. I was confused! If the people that are calling in as a result of MY advertising have a plumbing, heating, or cooling issue, then how could they be "no good"??? "These people just want a ball park price... they want everything now, and that doesn't work for us" he went on. The panic began to stir within me. I could NOT lose this account. I had already suffered through one failed business and lost everything, and there was NO WAY I would let that happen again. Generating more of the leads they didn't like wasn't the answer... neither was getting down on my knees and begging for him to keep me (though it was tempting). My mind was taken back to a time a few years before when I worked for another service business in Chico, California. I wasn't just managing the advertising there, I also answered phones. While I was always looking for new and creative ways to acquire new customers, my boss at that company had a fascination with customer service. He would make me practice phone calls with him, which felt awkward at first to me. He would even call in pretending to be a customer just to see how I would treat him! That's when it HIT me like a ton of bricks. I knew how to help this owner who was about to fire me, and I was prepared to offer my solution. I would coach his CSRs - free of charge! I used my experience from California answering phones to help his CSRs book the calls that were coming in. I needed to show him that these leads were good, and that with a little help and training his call handling team could turn them into booked appointments. After a few coaching sessions, they started booking these calls. 10 years later, we help businesses all over the world. About You & About Your Company: As a child, I was obsessed with knowing how things worked. I could always be found tearing apart some toy, electronic device or engine to see how it worked. This eventually lead me to studying humans to figure out what makes us tick.My Entrepreneurial addiction started at age 13 when I became a caddie. I did not know it then but the countless hours of working as a caddie on the golf course, walking, talking and asking non stop questions of the business elite, would have a profound influence on my career and life long fascination of studying and modeling Peak Performers. I am always trying to find ways to add value to others. Through speaking, teaching and sharing what I’ve learned with other entrepreneurs and business leaders, I am able to help executives with limited time achieve more.THE LESSONS OF MY JOURNEY: Grit!As a 6’4” lanky 13-year-old, I did not have the build of a typical caddie. While working for one of the most prestigious Golf Clubs in New Jersey, 8 hours could pass without being selected by one of the members – because I didn’t “look the part”. With no salary, no contract and no wages, other than bag fees and tips from the members, I would be the first to arrive to the caddie shack each morning – sometimes before the sun – to watch and learn what it took to be a great caddie. Eventually, I became a regular for one of the wealthiest members of the club who was an Entrepreneur. This afforded me a 4 -8 hour, daily, free education about business and entrepreneurship. Eventually, I was able to arrive 15 minutes before my golfer’s tee time, as we had developed an exclusive relationship, allowing me to go from working harder than everyone else to working efficiently! Without realizing it at the time – I had taken advantage of another success necessity….Mentorship & ModelingUpon graduating from high –school, unsure of what I wanted to do and pumping gas for a living ( Yes – in NJ someone pumps your gas ) , I took a job as a door –to –door life insurance salesman. Soon, with the voice of my mentor in my head, I realized that most of my co-workers knew nothing of the industry, sales, marketing or human behavior. It occurred to me that if I wanted to make exceptional money, in this field, I’d have to make a very important investment – in myself. The journey continued though, endless training modules, teleconferences, nights at the library pouring over books about, sales, marketing, and human psychology. If you want to learn and grow beyond measure, try selling life insurance at 18 years old. The constant “No’s” and lack of success was the best training ground possible. Inner strength, just like muscles, is built by putting yourself under constant pressure and adversity to build the ability to persevere and overcome. This work experience as a young adult fueled my ability to take the next necessary step in any success journey….The Formula for SuccessIn 2000 I started my entrepreneurial endeavor in earnest. I began by creating a global risk management consulting firm serving the private equity community. My top 15 clients had a combined revenue of $12.7 Billion USD with operations in over 100 Countries worldwide. Since then I’ve founded, bought and sold several multi-million dollar business. In addition to the successes there were plenty of failures along the way.Peak Performance Nation & Peak Performers Podcast were created to teach the tools, strategies, tricks, tips and psychology necessary to be a Peak Performer. I was frustrated by seeing great people and organizations with the knowledge of what to do but the inability to execute. It doesn’t matter what you know if you cannot execute. About You & About Your Company: chance meetings and success stories inspired his dreams. He will show you how networking can help in your personal and professional life.In his book, the Phoenix alum recounts numerous interactions with restaurateurs, actors, hotel executives, and musicians he met on airplanes, at breakfast counters, or standing in line. They spoke about their journey and offered advice, which prompted Hall’s own success story as an author.As a child, Hall felt the road to success began with education. He always dreamt of going to college. He worked very hard to turn his dream into reality. Hall recalls navigating a hectic, four-year schedule which consisted of attending classes at PC, then Arizona State University, working at Great Skate in the afternoons, and performing as a sports entertainer at Phoenix Sun’s games in the evening.He hopes to potentially teach at PC to share what he has learned and pay it forward to other students. “I have great memories of my time at Phoenix College,” Hall said. “Business instructor Cindy Cloud and basketball coach Matt Gordon both inspired me to find my passion.” WHY ZONE OUT when you can make a meaningful connection? Through chance meetings with celebrities, business leaders, athletes, government officials, and others, Zachary Hall has created a network of people he can rely on for advice, support, inspiration, and even VIP access across the country.Zach will show you how to build your own powerful network, based on the idea that helping others leads to greater success for all. By sharing fun stories — and many of his key contacts — Zach will show you how to:•Take conversations beyond superficial topics •Find the best people and avoid the jerks •Embrace your M.A.S.K. to take bold, life-changing actions •Use your connections to achieve your goals and amplify your dreams •Be more significant in other people’s livesAfter reading Don’t Sleep on Planes, you’ll be filled with the desire to constantly connect, simply by engaging in everyday moments. Get ready for the ride of your life. About You & About Your Company: For over 30 years, we have provided answering and virtual receptionist services to thousands of companies across the U.S. Our premium service and client-first mentality have allowed us to continuously grow our service offerings and focus on technological advancements to better serve our customers across a wide range of businesses. Our business principles are built on a foundation of strong customer experience and a commitment to staying at the forefront of technology and innovation. With these principles in mind, Answer 1 has delivered exemplary business solutions across multiple industry verticals since 1982.Today, business leaders expect to have instant access to their data and solutions at their fingertips. This shift in business has given providers like Answer 1 a choice—prove that you can provide instant access, or risk losing clients. This challenge has driven us to continually invent new ways to bring crucial data to our clients faster than ever before. No matter how the needs of business owners evolve and adapt over the decades, Answer 1 is there to provide a solution.Parker has been the CEO of Answer 1 since 2015, a time when he—along with a number of partners—acquired the company from its founders. Since then, Parker has been responsible for Answer 1’s strategic vision, senior level management, and equity value creation. Prior to Answer 1, Parker spent eight years with a middle-market private equity firm, where he was responsible for sourcing, due diligence, and portfolio company oversight of technology-enabled business services companies. Parker has an M.B.A. from the Kellogg School of Management at Northwestern University and a B.A. in economics from the University of Notre Dame. About You & About Your Company: Simone Bruni of Demo Diva did what many Louisiana natives did post-Katrina, she reinvented herself. Following her natural instincts and skills derived from a long career in hospitality and tourism, Simone Bruni turned helping her neighbors into a full-fledged business success.Simone lost her home in the Katrina floods. She was laid off and with no construction experience, she took on the daunting task of rebuilding her home. She discovered a niche. Demolition was the first step to coming home. Simone targeted women customers with her company name and branding. However, it was not only women who needed her help but an entire devastated community.The Demo Diva Demolition is blazing a trail in a male-dominated industry and reinvented the recipe for construction marketing, PR, social media and customer service that creates strong brand identity and raving “fans” instead of customers. Starting with an opportunity and a single hot pink dumpster on the campus of Xavier University (conveniently placed in full view of I-10 traffic! ), The Demo Diva has become not just an inspirational business success story, but a local business iconDemo Diva was founded by Simone Bruni in 2006 to clean up the aftermath of Hurricane Katrina.Although she lost her home in the Katrina flood and had no construction experience, Simone recognized her flooded neighbors’ needs were greater than her own. She responded. Her motto was, “Let me help you get home. Trust me. I’m your neighbor. “ Demolition was the first step to progress and rebuilding.Simone’s tenacity and marketing skills created the nation’s most unique, woman-owned demolition company, The Demo Diva, LLC. Quickly setting herself apart from seasoned construction contractors, Simone branded Demo Diva’s public image. All of her heavy equipment, trucks and debris dumpsters are painted hot pink.She offered hope and sold trust. The New Orleans community responded. Demo Diva’s business grew exponentially.Seven years later, Demo Diva has cleared away thousands of flooded and blighted homes. Demo Diva has now grown into a multi-million dollar residential and commercial demolition business that has expanded to Louisiana and the Mississippi Gulf Coast.Progress is changing the game. Demo Diva has changed the look of the game. Founder and Principal of Michael Baldwin Inc. The Association for Manufacturing Excellence (AME), is a not-for-profit organization founded in 1985 dedicated to helping companies with continuous improvement and their pursuit of excellence. Whether looking to learn about lean manufacturing or one of the continuous improvement tools like value stream mapping, kaizen, lean supply chain, lean new product development, lean accounting, or leadership of lean transformation you've come to the right place. AME is practitioner based which means our events and workshops are hands-on and taught by others who have “been there” and want to share their experiences. Visit our site to obtain more information on all of our educational opportunities or join AME and start receiving the many benefits of membership including our award-winning Target magazine. Don't miss our next conference, AME Chicago 2019, at the Hyatt Regency Chicago, from November 4-7, 2019. We are Shawn, Neil and Ryan Reynolds, three close-knit brothers who joined together to start up our own family owned and operated eavestrough & exteriors company. Each of us are also homeowners, thus Reynolds Brothers Exteriors can relate to how much your home means to you. There are so many options out there it is difficult to know who to trust when it comes to working on your home. We have grown our business through the power of word of mouth based on courteous, skilled installers as well as our considerate customer service. Check out our reviews! Our Commitment – We are committed to treating your home as if we were working on our own. In the years since we launched, we have become one of the most reputable and award-winning exterior companies in our area. 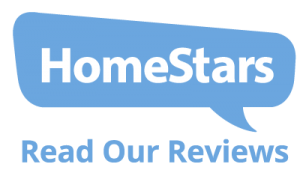 We were awarded “Best of 2017” by HomeStars, which we are so proud and appreciative of. We also received recognition from Consumers Choice Awards for years 2016 and 2017 for our customer service, workmanship, and reputation. Best Products Available Today – We only source and use top quality materials to ensure your job is done right the first time and that it will stay that way for years to come. Our installation and workmanship standards are known to be among the best in the industry. These standards ensure that only top-rated products will be used and installed on your home. Dependable Warranty – Reynolds Brothers Exteriors is proud to have one of the best warranty in the industry. We stand behind our work with excellent craftsmanship and attention to detail. Compare our 20 – year material warranty and 5 – year workmanship warranty to other eavestrough and exterior companies. Our pledge is to complete the work properly the first time, however, if there is a problem take comfort in knowing that we will be there to make things right for you. Exceptional Customer Service – You can have confidence in knowing that only highly trained and professional staff will visit your home. This ensures you get the quality work that you deserve. Your experience with RBE will be a positive one from the first contact, through installation, work completion, inspection and clean up. Our goal is to have a satisfied customer each and every time by always treating and your property with the utmost care and respect.